‘Jewel: The Edit’ has landed. The sumptuous range brings together a stunning selection of blinds and curtains, with four colour palettes to choose from: Sapphire, Amber, Jade and Ruby. 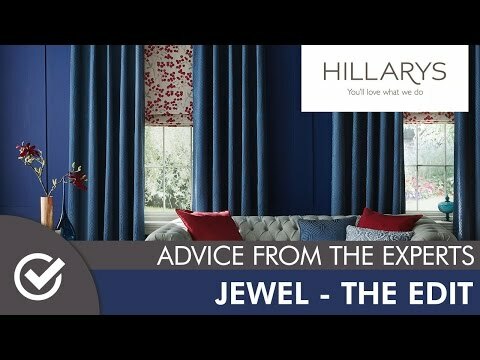 The rich tones of the ‘Jewel’ collection reflect the move in interiors from tropical brights and paint box pops of colour, which were everywhere over the summer, to a more opulent and sophisticated range of tones. Warm up your home with the intensely cheerful shade of amber, or inject a passionately rich hue with ruby. For an opulent shade, opt for sapphire, or bring a lush, verdant feel to your home with energetic jade.